If you've been injured at work, it is important to understand several key changes signed into law that are scheduled to take effect on September 29, 2017. 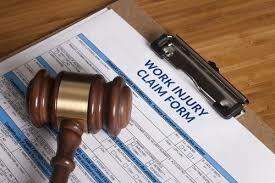 Decreases the time for filing an injury claim from two years to one year (ORC 4123.84). Revises the drug-testing standards for rebuttable presumption (ORC 4123.54). Permits working wage loss for firefighter cancers (ORC 4123.68). Prohibits payment of compensation or benefits to an incarcerated dependent (ORC 4123.54). Authorizes BWC to waive the temporary total 90-day examination (ORC 4123.53). Permits BWC to set the full weekly wage at the statewide minimum where there is not enough information to set the wage (ORC 4123.56). Permits BWC to dismiss a C-92 application if an injured worker fails to schedule or attend a medical examination, and allows BWC to dismiss currently suspended applications with notice to the injured worker (ORC 4123.57; Sections 741.10 and 741.30). Extends the time to appeal an Ohio Industrial Commission order to the court from 60 days to 150 days if a party provides a notice of intent to settle the claim (ORC 4123.512). Injured workers need to be aware whether the workers’ compensation claim is governed by the new rules, or whether the former rules apply.